Now, I’m not saying that I give credence to this particular assertion, but it’s been said on occasion that I’m a difficult man to shop for. Personally….I don’t buy it. I mean, how hard is it really to discern which subtle shade of wood or leather that I absolutely prefer? Or how can it be that difficult to intuit my preference for one brand over another based entirely on the font used in their advertisements? I mean seriously……isn’t this stuff obvious!?! Ok, ok….I’m joking about that. Kind of. Admittedly, the increasing nuance of my preferences combined with the inevitable passing of time has progressively made shopping for me frustratingly more problematic for my well meaning yet bewildered loved ones. It’s no secret that I’m a huge fan of Harry’s Razors. You can read a full review of their razors here, but suffice it to say, I’m a lifer with these guys. Never ones to rest on their laurels, Harry’s has upped the masculine appeal of their already impressive Winston razor handle by offering The Winston Engraved Set this holiday season. A custom engraved handle (for the monogram lover in all of us), plus spare blades and a great shave cream, all for the very modest sum of $40. 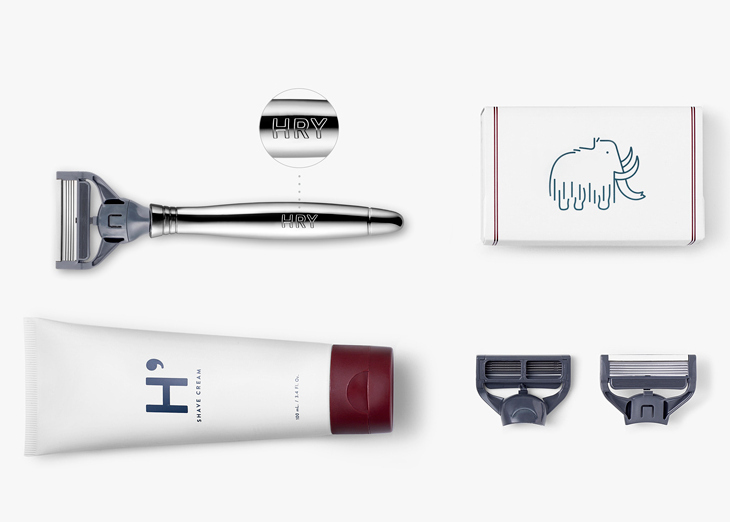 The dignity of an elegant looking razor + the class of personalized details = Perfect man gift. Simple, irrefutable truth…..men love leather. Sure…sure….vegans abound….I get it. But seriously….look around. Men love leather. And custom, hand crafted leather goods that you can’t just go buy at the suburban shopping mall…..even better. I recently connected with the fellas over at Bison Made and they hooked me up with a couple sample pieces to review. That post is on it’s way shortly, but trust me when I say, your man will absolutely appreciate carting his daily carry around in these finely, and very precisely crafted goods. 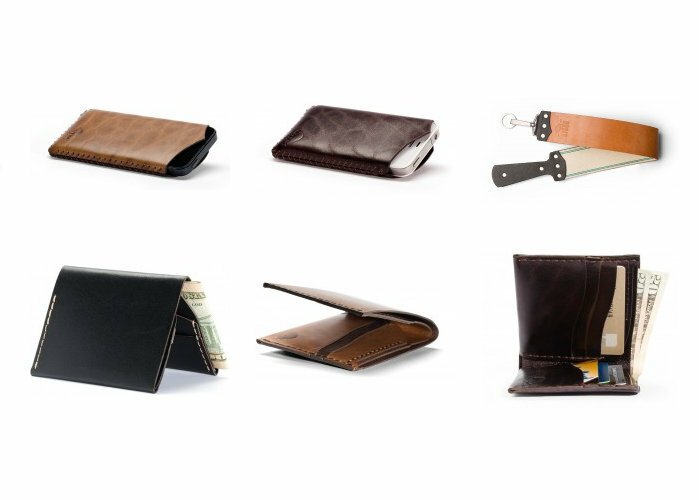 They offer quite a few options from wallets to iphone sleeves, and even shaving strops, in a variety of stains and colors. My No.1 front pocket wallet ($40) and iPhone sleeve ($65) are already aging nicely and doubtless have years of enriching to come. In conclusion: Leather anything = Man approved. It’s no secret, men judge each other by their choice of watch. Deny it, despise it, or just accept it. In a day when we have geosynchronous world time available every time we look down at our ubiquitous phones….a watch is more than just a timepiece. It’s a statement: about who you are and who you want to be. It’s also an opportunity to embrace a kind of precision and craftmanship that’s becoming increasingly more rare in our mass production, post-consumer, disposable age. 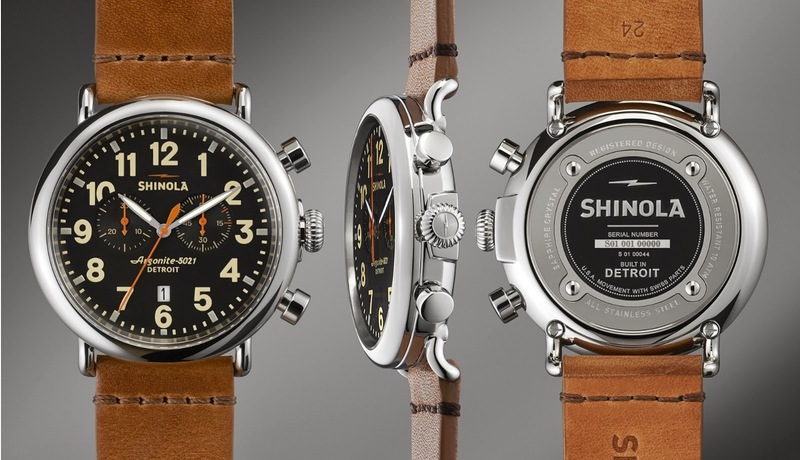 For my money, there’s no watch on the market today that better embodies the American spirit of bulletproof craftmanship, simplicity of design and humble yet powerful elegance than the Shinola Runwell Chrono. This watch rings in at a stout $750 but is and will remain the kind of investment that defines a man as someone to be taken seriously. If you’re not quite ready for the Shinola…..you can always start small with a classy, and surprisingly well respected Timex Weekender. $35 + a decent leather strap and you’ve got a simple and elegant watch that regularly pops up in GQ. Not a bad option…..
Little known fact: All men love work boots. And this makes them the perfect gift. Nothing says “I think you’re a rugged, handsome man” quite like giving your man a good pair of rugged and handsome workbooks. 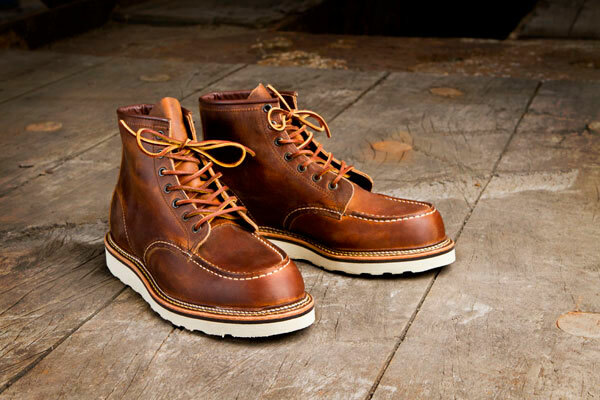 The Red Wing 1907 Moc Toe Boot is pretty much the defacto standard of manly boots today and is just as functional on the fashionable streets of New York as it is chopping lumber in the Ozarks. Plus, these boots will literally last for years. Well worth the investment. Gone are the days when the kitchen was exclusively the province of women and all but the formally trained man steered clear of anything not involving a charcoal grill. These days, men everywhere are embracing their culinary sides and as such, are in need of an abundance of tools (obviously.) 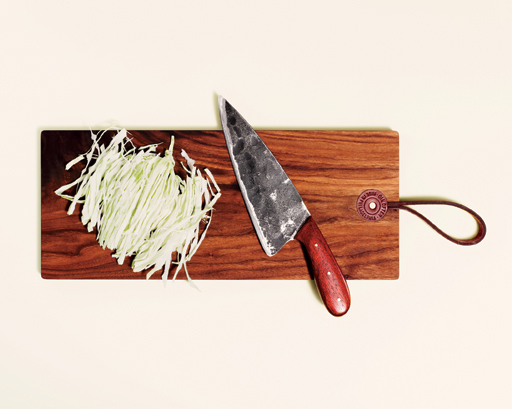 For the experienced chef or the burgeoning dabbler, the first and most critical of these tools is a good chef knife. There is a great ocean of options and opinions out there but if you want to take your kitchen tool gift giving to the next level, I highly suggest a Hand Forged Chef Knife ($100) from Oregon based craftsman Michael Hemmer. Hand made, one at a time, from reclaimed Swiss Sawmill blades. These rugged beauties are true heirloom quality and everyone knows that men of all ages love knives. Everybody loves getting awesome stuff in the mail and the folks at Bespoke Post have elevated that experience to the sublime. 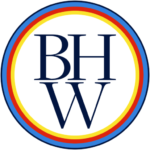 Bespoke Post compiles a monthly box of “fresh and interesting lifestyle brands and products for men. Each month, you’ll get to choose from one of our limited-edition boxes filled with an array of products built around a central, unique theme.” Boxes include things like a dopp kit loaded with their favorite products, a french press set with artisan coffee, a full setup for making the perfect cocktail, or a complete, ‘winterize your wardrobe’ kit. Subscriptions start at $45 per month and the boxes are optional. Your man can pick and choose each month if the box suits him or if he wants to pass. Monthly delivery of awesome stuff = monthly reminder that you think he’s awesome. Done. So maybe you’re not looking to spend $40 to $800 on a man in your life. Perhaps it’s because you don’t have that kind of cash at the moment, or perhaps it’s because you’re buying for your cordial but less than dear brother-in-law/cousin/co-worker. Here’s a tip: Men love monograms. Sure, not all men are so inclined…..but for the most part, the male ego tends to love anything that is uniquely designated as theirs. 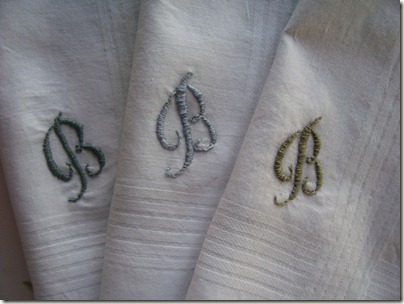 On the more personal end of this option is ordering monogrammed handkerchiefs from an online embroidery boutique. Cheap, easy and shipped right to your door. On the even cheaper side, many places like Target will often have pre-packaged ones with a variety of single initials already on them. Either way, the man in your life will at the very least be impressed that you thought enough about him to remember his name and purchase accordingly. 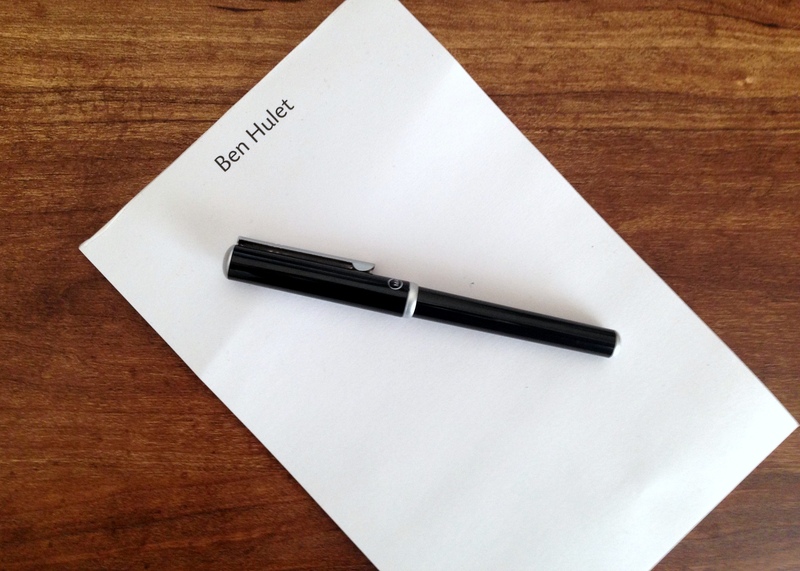 Years ago at a company Christmas party, a thoughtful coworker gave me a stack of notepads with a bold “Ben Hulet” printed across the top of each page. At the time I just thought it was a nice and thoughtful gift, but as I have used those notepads over the last couple years I have come to genuinely love the personal touch of elegance and class that leaving a quick note or mailing a personal thank you letter on those pages carries. Not every man dreams of having a “From the Desk of…..” set of stationery but as I said before, at the very least he’ll know that you thought of him and it’s a surprisingly affordable way to give a very personal gift. 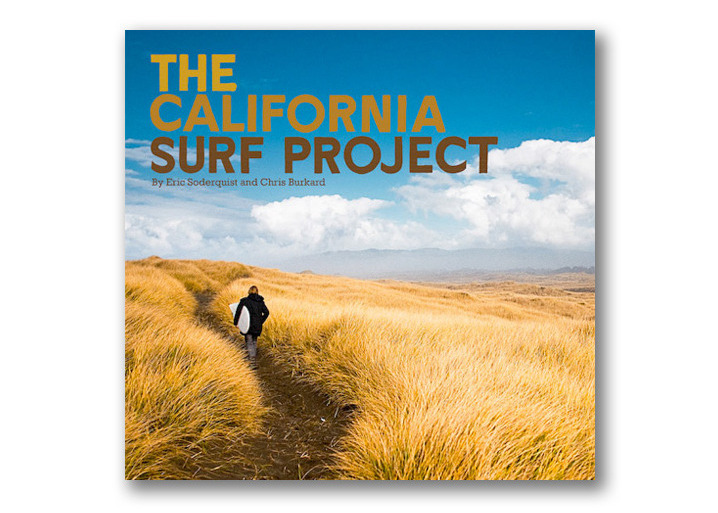 Not every guy is a social media aficionado and wants to curate a gorgeous Instagram feed. However, many times for men, the primary deterrent for engaging in “creative” ventures is simply the conviction that they don’t have the means to excel at whatever it is they are considering. 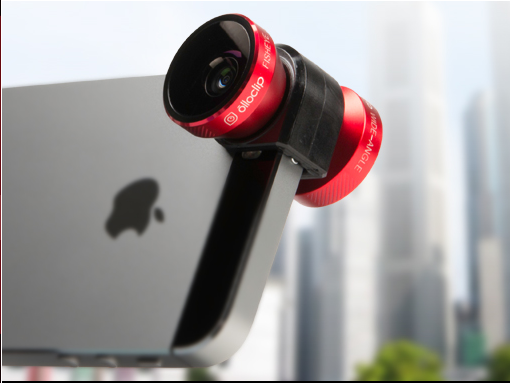 That’s where the Ollo Clip 4-in-1 Lens ($70) comes in. A single clip with 4 different lens options (fish-eye, wide angle, 10x and 15x macro) that slides right onto his iPhone, immediately making unique and creative photography a snap. I’m not going to pretend that shopping for you man is an easy task, but maybe with a little help, you can get him a gift that really takes him by surprise. Good Luck! Ben! Thank you, thank you, thank you, and a thousand times thank you! I’ve been struggling with what to get the fabulous men on my list. You just solved it for them all! Please let this be the first edition of the annual “Ben Tells Women Who Care What To Buy For Men Who Care” Christmas shopping list. Haha! Thanks Lenore. It just may be…. Do you know which website was used for the personalized stationary? Drake, the set I received actually came from Office Depot. Pretty much any of the office stores or any place online runs about the same unless you’re looking for a specific specialty paper or print style. Hope that helps! Thanks Ben! Love the blog. Love the instagram. Keep it up! Thanks for the great ideas! I too judge packaging on fonts. As a stationery designer I just have to point out that stationary should be stationery. :). Just trying to help! Definitely checking out bison goods as I was looking for a nice wallet! Haha! I made at least three editing passes and still missed that one. My apologies to your profession. 😉 Thanks for the catch and nice website by the way. I’ll have to send people your direction if they ask for a recommendation. Cheers! Any chance you could do a post on what to put in your husband’s Christmas stocking? 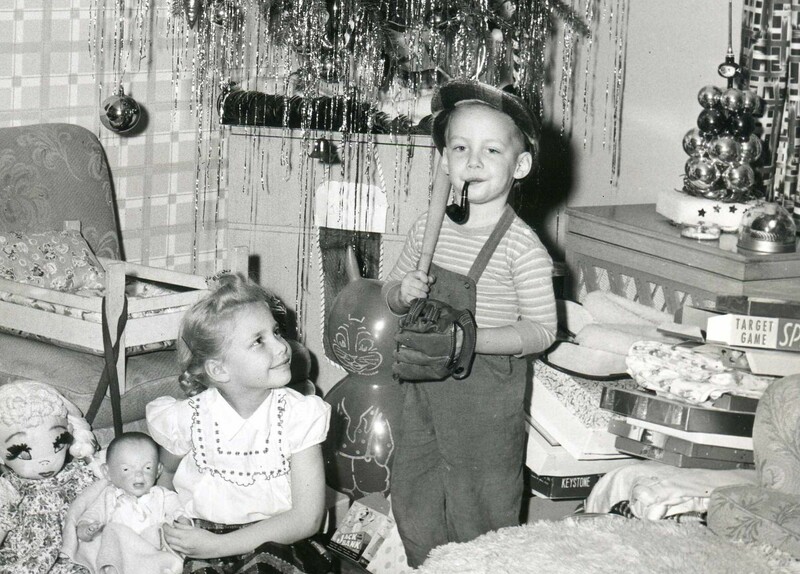 Growing up, my stocking was predominately candy, while my husband’s was typically filled with small gifts. We follow a paleo lifestyle, so I’ve given him some snacks and dark chocolate, but it is really hard to be creative with Christmas stockings for a man (I think, anyway!). We are both in grad school, so we decided to nix big gifts this year and to just have a nice Christmas dinner and do stockings for each other. He gives me GREAT things in my stocking, artisan chocolate, sparitual nail polish, stress relieving, aromatherapy related items…I just have such a hard time thinking of things for him! Ultimately I know that Christmas is all about Jesus and that I shouldn’t stress too much over this, but I have a difficult time…any ideas are appreciated 🙂 These are great recommendations, by the way, the engraved razor was a big hit.